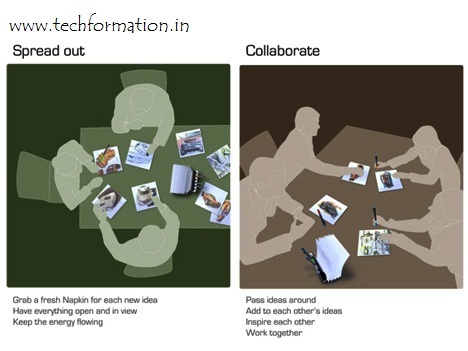 Imagine a system of network computers that enables you sharing ideas at the same place. 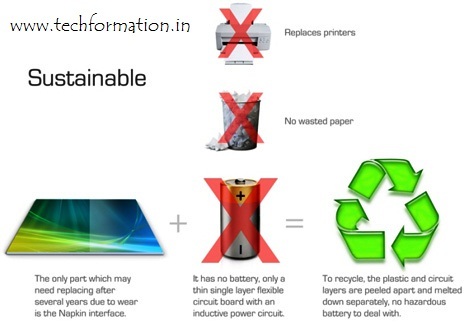 Do not think that it is an old and known concept. 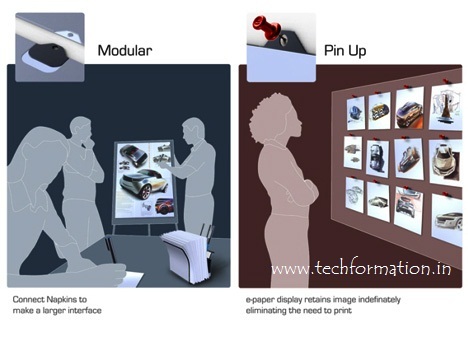 This system of computers is far different from traditional network sharing. 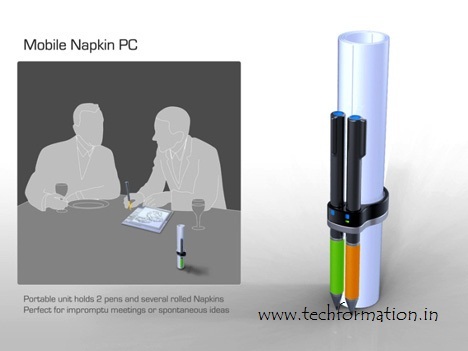 This Napkin PC concept enables you to share your innovative thoughts at the desk while you are thinking on a design. 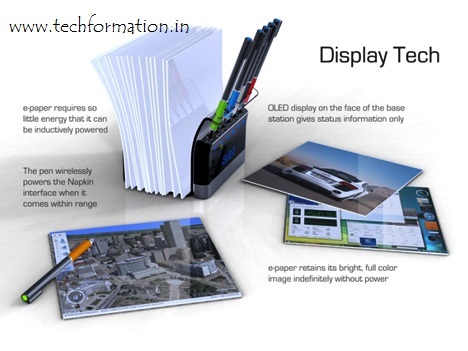 This phenomenon uses e-ink paper, digital color pens, base station transceiver that uses RF technology which enables the flow of information between the 'napkins'. 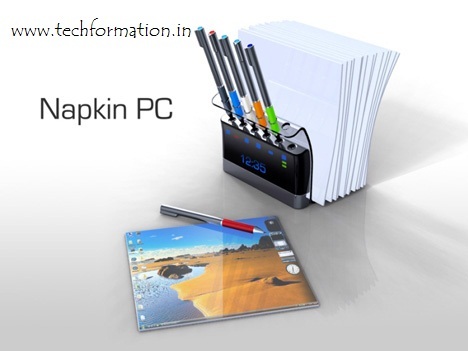 The base station, simply looks like a simple accessory holder contains the color pens and e-ink papers. 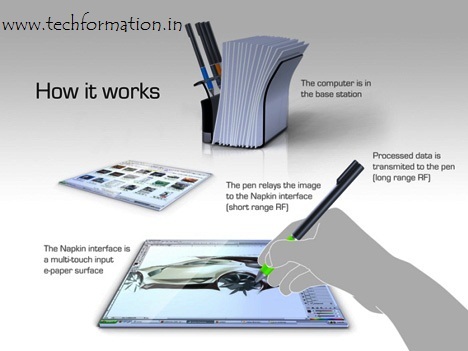 While you are discussion on a design, take a paper and image your design on the e-ink paper with your digital pen. 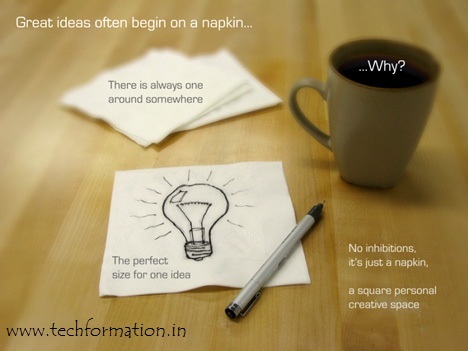 Through RF technology, share that idea among your mates via other napkins and rebuild your concepts. 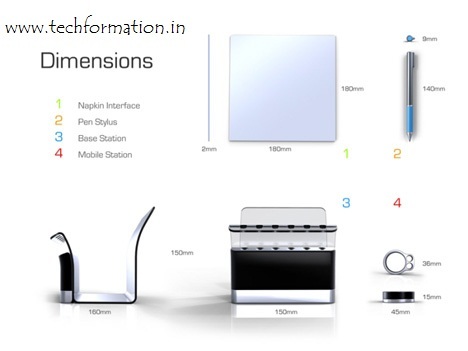 This is a very flexible design yet creative to share information. this is really a cool concept !! !